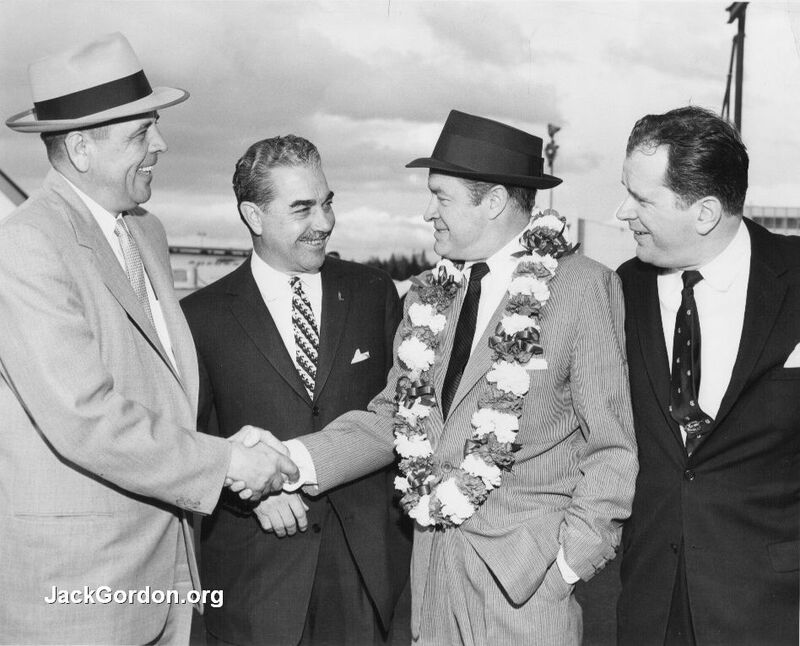 Left to right are Sheriff Tim McCullough, Bob Littler, Bob Hope, and Jack Gordon. Jack served as emcee for the Bob Hope shows held during Seattle's World's Fair in 1962. During 14 performances, Hope filled the Aqua Theatre with over 65,000 fans. (Photo from "Greater Seattle News Bureau." According to HistoryLink.org, "In 1962, with the Seattle World’s Fair drawing large crowds from throughout the country, the Aqua Theatre reached its zenith with five separate productions occurring throughout the summer season. A three day jazz festival began on June 19, 1962, followed in July by week-long performances of Bob Hope; Annie Get Your Gun with Gizele MacKenzie; and Music Man with Bert Parks and Barbara Williams. Capping the bill with a cast of more than 100, the Aqua Follies sustained a 21-day run, ending the Seafair celebration on August 15, 1962." 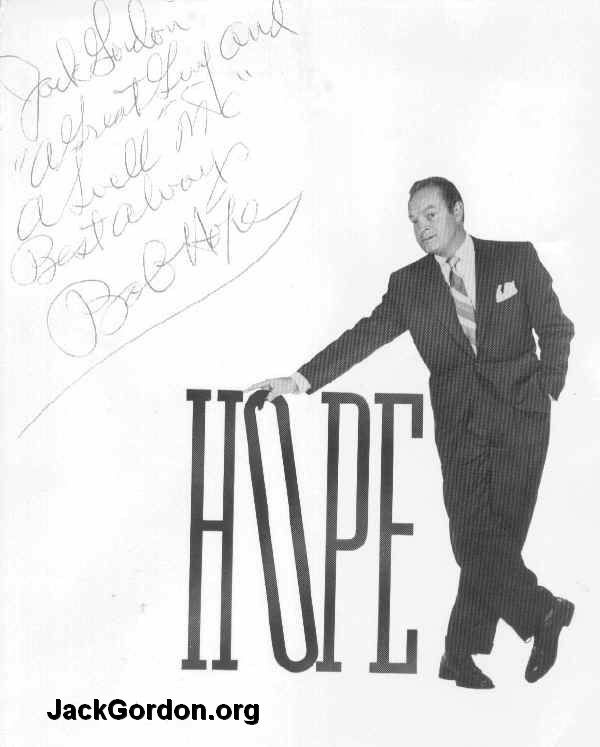 Autographed photo from Bob Hope to Jack Gordon. Hope visited Seattle many times, often during Seattle's Summer festival, Seafair. Following one of his performances at the Aqua Theater, he presented Jack with this photo that's inscribed Jack Gordon "A Great Guy and a Swell "MC" Best always, Bob Hope".